Jaded Blossom: Guest Designer, Gigi! Hello everyone! This is GiGi from The Cricut Bug here to share a project with you using my Jaded Blossom supplies. 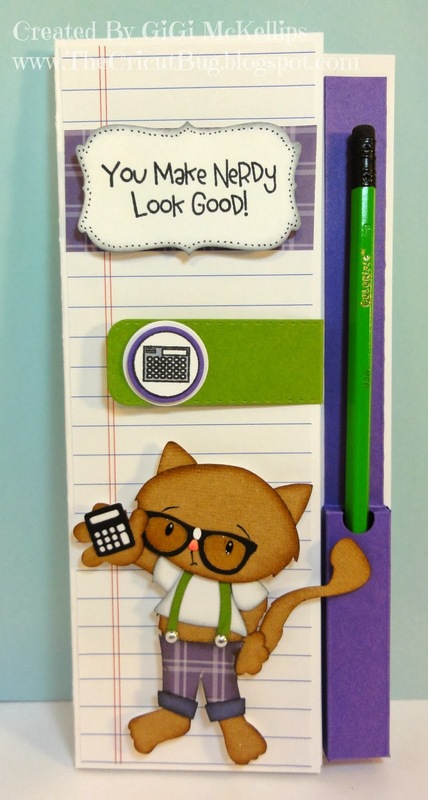 I am just loving these fun sentiments in the Kawaii Sentiments stamp set! I created a notebook holder for my project today. I made the notebook holder with a custom design and used a template for the pencil holder. 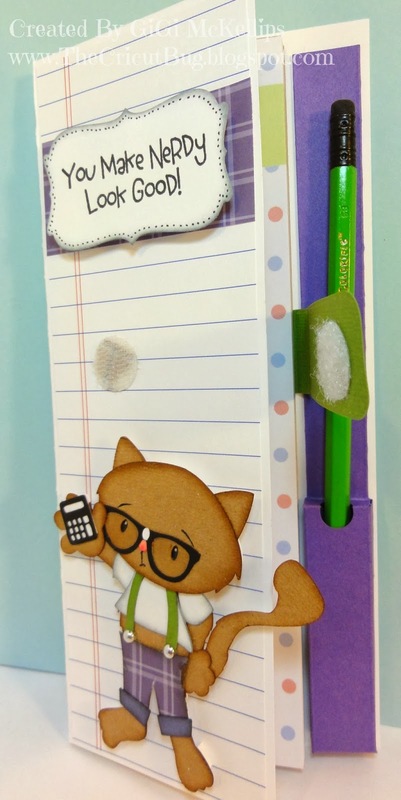 You can find the template for the pencil holder HERE. To create the notebook cover, I cut a piece of cardstock at 8 1/2 X 7 1/8 inches. I scored it with the 7 1/8 inch side up at 3 and 3 1/4. I glued in a notebook adding the closure to the underside of the notebook before I glued it down. I used the Candy Wrap Dies for the closure tab with a velcro dot. I also added the stamped calculator using the Science Candies and layered it on punched circles. 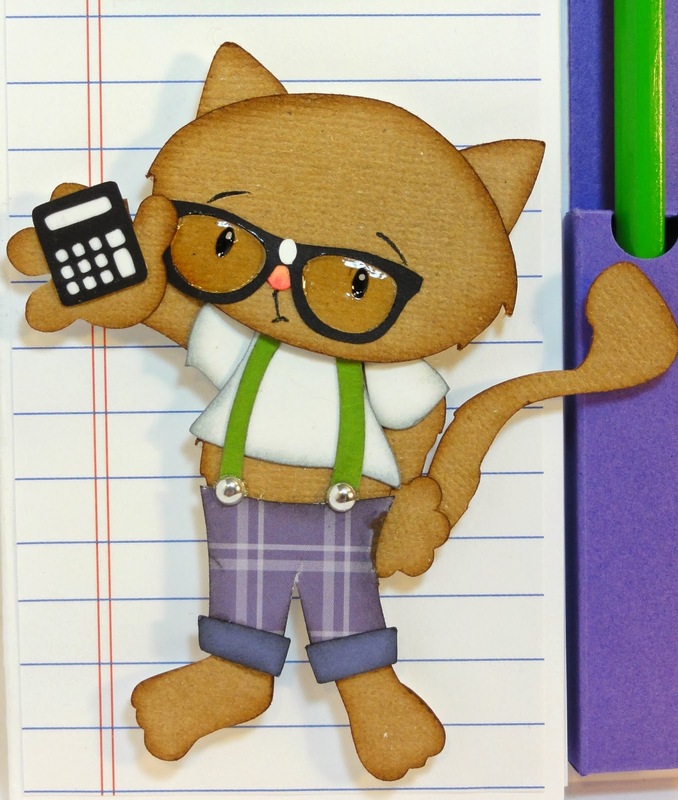 I cut the cat from the SVG Cutting Files Steve The Nerdy Cat. I added some Glossy Accents to his glasses and used my I-Rock to add some silver hot rocks to his suspenders. 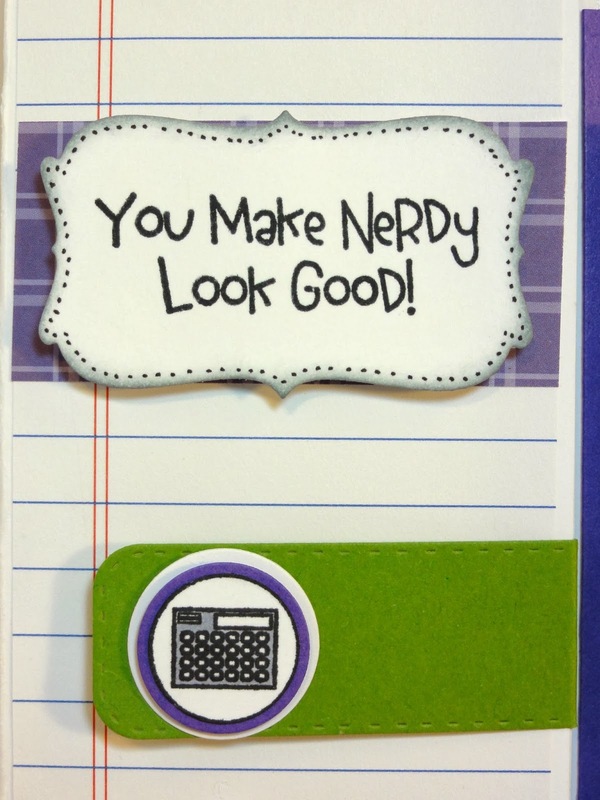 To finish, I stamped the sentiment using the Kawaii Sentiments onto the Curly Label Die. I hope you all enjoyed seeing my project and thanks for visiting! Love this!! Your little nerd is super cute!! How super CUTE is this!!!!! that is Super Cute. Love it. omgosh - LOVE this!!! and his little plaid pants!! so awesome! Jaded Blossom Monthly Challenge Winner! Winners and You've Been Kissed!